Over the last several years, as sustainability has become a hot topic in the documentary community, we have seen the issue unfold in a number of ways: surveys of filmmakers and industry have been disseminated and dissected, numerous convenings have been held, a national report has been issued by the National Endowment for the Arts and IDA, and various organizing efforts have sprung up (most notably the Documentary Producers Alliance). So far, however, there has not been much focus on the production companies and nonprofit organizations that filmmakers have created to structure the documentary production process itself. These organizing models lie at the heart of the independent documentary community and are key to understanding filmmaker sustainability. For this article, Documentary trains its lens on Skylight, the Brooklyn-based human rights media organization formed in 2014 by Pamela Yates, Paco de Onís and Peter Kinoy, which began its life as Skylight Pictures back in 1981. 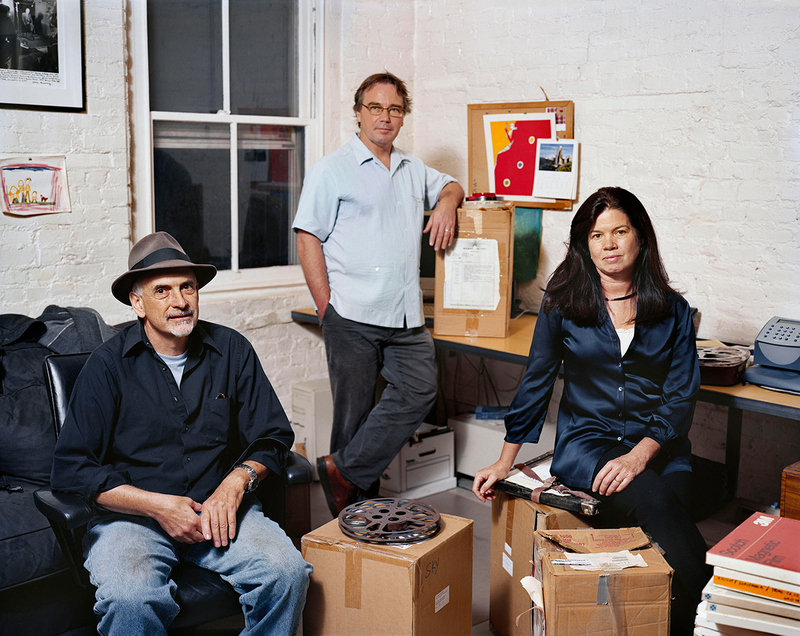 Co-founded by Yates, Kinoy and Newton Thomas Sigel, Skylight Pictures is best known for its focus on social justice and human rights, particularly in Latin America, through films such as the Sundance award-winning When the Mountains Tremble (1983) and Granito: How to Nail a Dictator (2011). Skylight has continued the tradition with its feature-length 500 Years (2017), numerous short films, a range of outreach and engagement programs, and the innovative labs program SolidariLabs. In some ways, Skylight occupies a unique space in the documentary world, along with the prominent documentary organizations Firelight Media, also in New York City, and Kartemquin Films in Chicago. All three produce widely seen and highly lauded documentaries under nonprofit umbrella organizations that share a commitment to social justice and engagement strategies. Documentary spoke with Yates, Skylight’s creative director, and de Onís, Skylight’s executive director, to learn more about how their work has evolved, what are the opportunities and challenges posed by producing films within a nonprofit structure, and what the secret sauce of their success is when it comes to sustainability. DOCUMENTARY: Can you talk about the original vision for Skylight? PAMELA YATES: Peter Kinoy, Newton Thomas Sigel and I started Skylight Pictures in 1981. Tom was camera, Peter was editor and I was sound recordist. The three of us brought our equipment to the company so that we could make feature-length documentary films together. So, our idea very early on was to have low overhead, low cost, and be truly independent filmmakers where we get to make our own decisions on the films we make and to have final cut, own the films and be able to work with the films along with social movements. With the very early films that we made, we realized that actually partnering with or having allies who are in political movements would be incredibly beneficial for the impact of the film, as well as for the growth of those political movements. So, we came of age creatively and as filmmakers, in concert with the growth of the human rights movement worldwide. A lot of those people inspired us, they're part of our films, and we like to think that we helped to grow the worldwide human rights movement. D: How did Skylight become involved in the Central America Solidarity Movement in the ‘80s? PY: We were also very involved in our first films, like When the Mountains Tremble, with the Central America Solidarity Movement, and the movement to make sure that the United States did not intervene or expand its military aid to Central America. That was a very vibrant movement in the 1980s. When the Mountains Tremble helped people understand what was going on in Central America. The Central American Movement helped take the film out, especially in North America, Europe and Mexico. I think that’s important because it's really a model that we followed with all of our feature-length documentaries. We were pioneering outreach, impact and engagement very, very early on. We’ve always really been interested in a high degree of collaboration, both in the production of the film with the protagonists of the film and in sharing our model and having these kinds of sometimes hard, sometimes inspired discussions with the documentary film community as a whole. I’ve always thought that more community and less competition would get all of us much further and would raise the field accordingly. D: When did Paco come on board? PY: Paco came to work with us a decade later, and now we’ve taken our film production company, dedicated to making feature-length documentary films, and transitioned it into a nonprofit human rights media organization. D: Paco, can you talk about how your role evolved and how this led to the decision to make Skylight into a nonprofit? PACO DE ONIS: I started as a producer and then [expanded to] executive-producing as well as raising funds. Then, as we started developing relationships with foundations, we started convincing some foundations that hadn't been funding films to start doing so. I remember the United States Institute of Peace, which is a nonprofit based in Washington, used to fund a lot of research projects that were all text and print, and we convinced them to release some money to support a film we were making about the Peruvian Truth Commission. Since then, they have funded a lot more films. So we also took on the role of getting foundations to understand how funding film could be part of advancing their mission and that film could really be a fundamental part of any outreach around issues and ideas. There was a model that we created based on that push to expand our funding sources. At a certain point, we decided it made more sense for Skylight Pictures to transform itself to a nonprofit 501(c)(3) organization because, first of all, in documentary, there usually is no profit; second, we're really making the films with a social justice and human rights mission in mind; and finally, that would open up many more sources of funding. One problem that we got into, as we started doing more and more outreach, is that [our nonprofit status] actually required writing tons of project proposals. For example, if you wanted to do an interactive site to accompany the film or a tour of the film in some remote region in Latin America or in Africa, all of these cost money, and funds had to be raised. So we thought it would be great if we could just get core funding like most human rights organizations do. We bring stories through film to help advance and strengthen human rights and educate people about human rights, so we really think of ourselves as a human rights organization. D: What other advantages does being a nonprofit give you? PDO: It allows us to get core funding because a lot of foundations can’t give you money unless you are a 501(c)(3). Of course, being a 501(c)(3), any donations from individual donors were also tax-deductible. That gives you a big funding advantage. It also gave us the possibility to build a staff that is working on all the work that we do without having to be specifically funded by a project, which really narrows your scope. It really allowed us to operate as an organization and plan ahead and develop ideas that hadn't gotten funded yet. That's how we came up with the SolidariLabs concept, which we’ve been doing for the last two years. It brings social justice filmmakers together with activists and community leaders to form bonds of solidarity and possibly collaborate in the future. It’s not project-based; it’s about building knowledge and trust. SolidariLabs would not have been possible if we didn’t have the core funding to experiment. D: What are your sources of funding as a nonprofit, and where do you generate your revenue? PDO: A lot of it comes from foundations. We also receive funds from the general public and our followers. We also have sources that don't depend on us being a 501(c)(3), like the educational market; we really work that by selling and licensing our films to the educational market through New Day Films [a distribution cooperative that's been operating for more than 40 years]. Then, when we have a film come out, it’s more like the standard thing that most filmmakers do. For example, making a licensing deal with Amazon, which we did with 500 Years. We look for television sales and put the film on sale online—all of those possibilities. We also do a lot of touring to educational institutions and conferences, and we take our master class and screenings to universities and colleges, which we get paid for. So, there are a lot of different revenue streams coming in. One important thing: we don’t sell our films to distributors. It just hasn't worked for us. As a human rights organization, there are a lot of things that we do with the films that distributors either wouldn't allow us to do, or would just say, ‘It's not worth it, we don't want you to do it or we won't pay for it.’ We have to maintain control over our films, but that's not to say we don't want to make a deal with Amazon, for example, but we do it ourselves, not with intermediaries. D: Pamela, what other advantages do you see of being a nonprofit? PY: We’ve always been interested in collaboration—how you can work better in groups. I think that the range of what we do and the output of what we do with seven people on staff is really a huge amount. And people always say to us, ‘How do you guys do so much with what you have?’ I think that transitioning to a nonprofit has really helped us be better, more efficient and have greater impact. PY: Well, for example, not only is there Peter Kinoy, who's the editor and head of the editorial department, but we’re able to bring other people on to the team. We have a second editor, and he does all of the impact shorts. Our social media presence is much bigger and our digital presence with the shorts that we do is much better. We’re able to utilize the material that we shoot for feature films in many other media assets that comprise a media ecosystem around the feature-length films that we do. After I’ve done the director’s cut of a film and it’s out into the world, we're able to work with other organizations and help them shape shorts that they might need in building their movements. It also allows us to take greater risks. For example, we just put our master class online. It’s a self-guided course that you can take about human rights media-making. The experiment was not only in sharing our model with the rest of the field, but it’s behind a pay wall, so it’s part of how we may be able to be more sustainable by selling the knowledge that we have in the educational arena. Without being a nonprofit, without attracting core funding, you never could have taken the risk to do that because we would have to go project by project. D: Are there any disadvantages or trade-offs with this model? PDO: Yes. It requires management on a constant basis, and there are a lot of legal requirements to being a 501(c)(3) that you have to comply with that requires some time-consuming accounting. Another one is, you don't own the films; the organization owns the films. That’s one of the weirdest things; we're not talking about Hollywood numbers here—we have a mission of making films for human rights—but still, that was an adjustment to make. One important thing for other filmmakers to understand is that our model is not for everybody; being a nonprofit is actually a lot of work. There's a lot of admin that goes into it. So, it has its upside, which is opening all kinds of funding sources, but it needs to be managed in a way that's not just like a regular film production company. D: In what ways would you say that Skylight resembles a ‘startup,’ as we would think of a startup in any industry? PDO: After becoming a nonprofit, we had to re-think how to organize ourselves because we needed to build a staff. We’re still thinking along those lines. For example, next week, we’re going to have a board and staff retreat to talk about a strategic plan for the next three years to focus on how to grow ourselves as a human rights media organization. What does that mean? What are the tools we're going to use? What new technologies mushed together with old technologies? Stuff that we've always done, but now it's in a more intentional way in order to build an enduring organization so that Skylight can become a nonprofit media organization beyond us, the founders. So, this is a challenge; it's an experiment. We’re not 100 percent sure it's going to work like any startup, but we're giving it our best. D: Do you hope that Skylight will continue beyond your leadership? What steps are you taking to help make that happen? PDO: This is something that we discuss a lot here internally—the particular chemistry of Pamela and Peter and myself and filmmaking. I don’t think that can be reproduced, and I don’t think that should be the goal. But can Skylight remain as a human rights media organization, perhaps working with other filmmakers or through our labs program? This is something that has been attracting a lot of attention from funders and in the places where we have done the labs. That looks like a very promising branch of what Skylight is doing. PY: Yeah, that was one of the pillars behind transitioning to being a nonprofit organization—that we would be able to grow, we would be able to have staff, and we would be able to identify and have other people carry on the work of Skylight. D: Where would you like Skylight to be in three to five years? PDO: For me, I’d like to see our SolidariLabs program strengthened; I’d like to see a series that we're starting to develop on immigration issues be completed; and I’d also like to see what it might be like to work with some other filmmakers that I’d say are affinity kind of filmmakers, that share our concerns and share our mission—maybe the series will be the opportunity to see what that would be like. PY: We’d like to double in size, we’d like to double our budget, and as Paco said, it’s really good to always try new things. So, rather than doing a feature-length film, I'm heading up a team to do a series about immigration, but actually told from the perspective of Americans and what Americans are doing about immigration and the exodus out of Central America into the United States. How are they defying government policies? In fact, the name of the series is Defiance. So, I’m very excited about that, and I think that transitioning to a nonprofit is a very good way to also try to do new forms of storytelling. D: What are some things that you've learned in terms of how to be good managers and how to manage a staff? PY: We have creative equality. Actually, working on film productions trains you very well to be a good manager—how to work with people, how to deal with problems, how to get everyone from very different backgrounds working together for the same goal. When I say we have equality in creativity, I mean that we have equality in offering ideas. Often the directors of the company have to take it forward and take responsibility for it, but we have a pretty open and collaborative working environment. Also, our staff is in their 20s and 30s, so they have a lot of new ideas and new perspectives. D: Do you have those nights where you’re like, ‘How am I going to meet payroll? How are we going to keep this going?’ How do you feel about the level of sustainability that you're at right now? PDO: That is always a challenge. There are nights when I wake up thinking, How are we going to fund the next film or make payroll? That doesn't really go away. Of course, some nonprofits are very big and powerful in terms of budget, but in the nonprofit world, raising money and funds is a constant. There are basically three things that happen in a nonprofit: There's the programs, the films or labs or whatever the programs may be; there’s the fundraising; and then, there’s the admin to keep it all running. D: How about for you, Pamela, in terms of your level of comfort with where you’re at in terms of sustainability as a filmmaker and as creative director of Skylight? Do you have those nights? PY: It’s always hard to fund documentary films. So, of course, I have those nights. But they’re more on the creative level: Is this a good idea? How am I going to sustain it? What funds can I access? For example, right now we’re following the migrant caravan that’s moving up through Mexico probably to the US southern border with California. When do I use the few resources that I have? When can I have the Guatemalan team that I worked with over the years following them, while I’m here in New York raising money? I think two of the ingredients in being an independent filmmaker is that you take a lot of creative risks and you’re used to being insecure financially. For me, the financial insecurity is not present as much it used to be, but the creative risks are still there. Those two things that might scare other people are actually my life blood. That’s what makes me a good director in the field. I would say that we're relatively secure in our field: We don't have to do other jobs, we don't have to do other day jobs, we don't have to teach or do work for hire. So, relatively, we’re doing really, really well. But we still have the creative risks, and that's a lot of fun. D: What would you guys say is the secret sauce of Skylight? PDO: I guess that we’re happy to be in our roles here. It’s not like I want to be a director, as well as a producer. I feel very comfortable being a producer. Peter is very comfortable being the editor. He doesn’t feel like he has to go out in the field on the shoots. And Pamela is the director. So, having our roles, not because they were assigned to us, but because that’s where we naturally fit and that’s where we feel comfortable: That’s been part of the secret sauce. PY: All of our films start out with, ‘A film by’ Paco, Peter and me, and then at the end of the films, we take individual credits for our individual roles. That reflects how we conceive of the ideas, how we research, and the continual conversations we have about the ideas. While we’re in the field shooting, we’re sending material back to Peter, who’s looking at it all the time. The three of us all are really engaged in the shaping of the film, even though we take individual roles that we’re primarily responsible for. Then we try to give credit where credit is due. Even though it’s been very hard sometimes for film festivals to understand that there were three creators behind something—they always want to go for the director—but we try to spread the credit for the creativity among us—especially acknowledging the unsung role that the editors play in nonfiction storytelling. One other thing about our secret sauce is our relationship to the social and political world. We’re always really interested in what’s up-and-coming and what the political landscape’s like. What would creative collaboration look like? What impact can our stories have? How do we reach audiences? D: Are you looking at how you might be mentoring filmmakers within Skylight who will possibly be that next ensemble in terms of making films? PDO: We have mentored filmmakers within Skylight who are now out there making films, but not as part of Skylight. Peter has mentored a lot of editors who have now gone out and are editing. PY: I'm also the leader and the designer of the Hedgebrook Women's Documentary Film Lab, which takes place on Whidbey Island off the coast of Seattle every December. So, we have done a lot of mentoring. I think because we haven't been a nonprofit that long, we're just approaching the stage where we can actually mentor people inside the structure of Skylight. PDO: I think SolidariLabs is going to be one of our legacies. And maybe there will be some younger filmmakers who decide they want to continue working within the structure of Skylight. D: Pamela, within Skylight’s nonprofit structure, do you feel you’re still able to be spontaneous in responding to events on the ground? Are you able to pick up a camera and go and shoot something that you feel is necessary for the work that you’re doing, maybe before you’ve gotten the fundraising behind it? PY: I have to work for it; it’s a creative tension. I have to state my case, we have to discuss it, then I can go forward. Often with those kinds of creative tensions you come out with a better idea for having had to clarify your ideas and having to present them forcefully and having to meet and overcome the opposition. I think so far I've been able to be incredibly nimble in spontaneously responding to events. PDO: Here's another area where a 501(c) (3) can be an advantage: We're talking about having a rapid response fund within our budget that would be there if we decide something really needs to be shot right away. Pamela would just have to argue her case that this is why we need to do it, and the fund would allow for that to happen, at least to get something started. It wouldn’t be a huge fund, but it would be enough to kick off something. D: As the executive director, Paco, have you ever had to tell her ‘No’? PDO: (laughs) I’ve tried, but I wasn’t successful! D: Looking back over the history of Skylight, what are some of the key lessons that you've learned? PY: I think that we realized very early on that it was going to take a long-term commitment to make any kind of social change. It’s actually at the heart of what Granito: How to Nail a Dictator is all about. Knowing that, and understanding it and keeping connected to all the people and places where you’ve made films in the past, will really help you understand how history develops and what role documentary storytelling can play in social change. It’s very much the subject of the master class that we put up online too. PDO: And how to create effective eco-systems around each film using digital platforms, short media and social media. D: Are there any pitfalls that you might advise other filmmakers to avoid? We always tell filmmakers who work by themselves, Try not to work by yourself. Try to make a team. It's really hard being an independent filmmaker, so put together a team that works well together. Also, if you are a committed social justice filmmaker, think hard about how you distribute your film. D: What about for you, Pamela? Any words of wisdoms as far as pitfalls to avoid? PY: As my mother said, I’m a congenital optimist. It’s also just because of the kind of work we do, which is very difficult, you have to take a somewhat optimistic stance or you will never be able to continue to do it. I would just say, We're not rich, but we have rich lives. So make sure you use your life and the time you have purposefully. Ken Jacobson is Senior Documentary Film and Special Content Programmer, American Film Institute Festivals, and Contributing Editor at Documentary.